Authors Jessie Cole and Inga Simpson have a few things in common. The second novels, of both writers, hit Australian shelves two days ago. But the similarities don’t stop there. According to session chair Lisa Walker, both novels explore the liminality of leaving or returning home, and although the stories feature starkly different protagonists, they share thematic qualities. 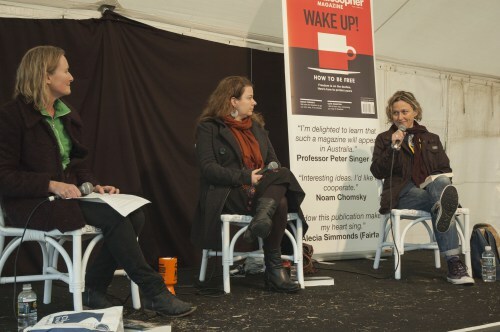 A small crowd of die-hard book lovers endured polar winds, looming mud, and darkening skies on the festival’s chilly final afternoon, to hear Cole and Simpson read at the last session of the Byron Bay Writers Festival. It was well worth the wait!